Rivers Uncertain About Future With Chargers Amidst Rumors of L.A.
With a potential move to Los Angeles looming, San Diego Chargers quarterback Philip Rivers—whose contract expires after the upcoming season—is not sure of his future with the team. Rivers’s big family (seven children) and humble roots from the South have been well documented and he does not know if he will be open to starting anew in a location he does not get to decide on. He mentioned, though, that he has every intention of playing his contract out this season and does not foresee anything changing that. Rivers, 33, played through well publicized back and rib injuries last season but is starting to feel refreshed just a couple months into the offseason. “I’m excited. 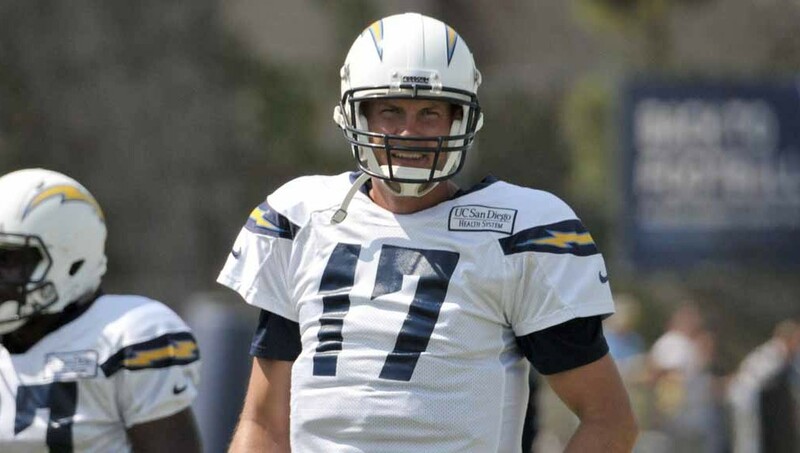 I feel like I have a lot of good years left,” Rivers said to U-T San Diego. In nine seasons as the Chargers quarterback he has led the team to the playoffs five times and his streak of 144 consecutive starts is the second longest active streak in the NFL. Along with Rivers, tight end Antonio Gates and safety Eric Weddle will also be free agents after next season, and like Rivers, there has been no discussions of a contract extension for either player.